As I reflect on 2018 I am overwhelmed with gratitude. It was a tremendous year of growth and connection and I am truly proud of the work that I have put into healing and growing personally and professionally. I learned so much about myself this past year through allowing myself to breathe through discomfort and pushing through my fears. Every single person that I collaborated with, learned from, taught, and photographed has inspired me in one way or another and I’m so grateful for each and every one of you. Yoga was a huge part of 2018 for me. I concluded my 200 hour yoga teacher training certification with fitness yoga and became a certified yoga instructor. I formed a beautiful sisterhood with the women who journeyed through this process with me and their connection has been such a blessing in my life… I’ve had the privilege of teaching at several studios and I currently teach at Bee Inspired yoga. Workshops are something that really light me up so I plan on offering many of them this year and my goal is to get into women’s retreats as well! 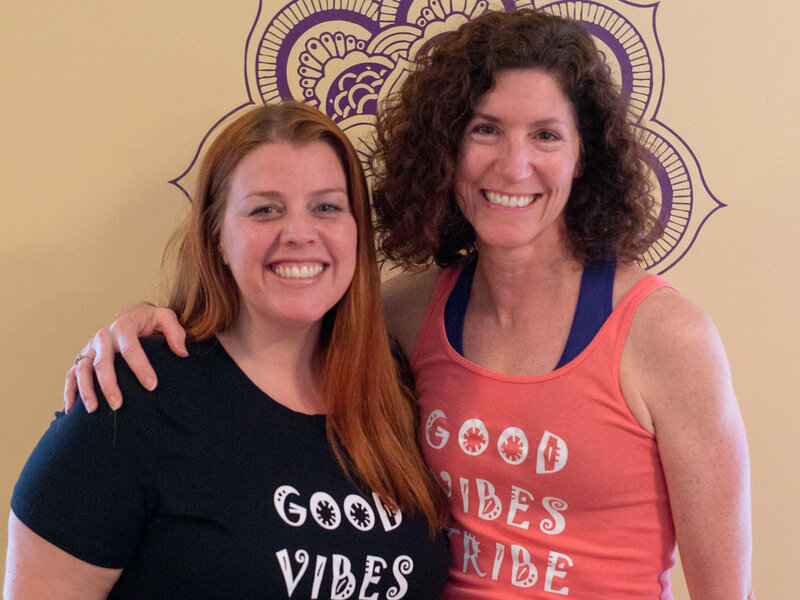 My first workshop “Tending the Goddess within” was held in November and it was a collaboration with my friend Katie of Abundant health and healing . It was a beautiful afternoon of intention, connection, and yoga that planted many seeds in the women who attended. It is truly a passion of mine to help women understand the importance of self care and these workshops are a wonderful way for me to share my knowledge in an intimate gathering. I also attended an incredible Chakra activation retreat at the Himalayan institute led by Parvati Victoria Goodwin of Blissful Yoga. It was a magical weekend of self care and connection! Me and my incredible instructor Laura Bonanni. Katie and I at “Tending the Goddess Within” workshop. A moment of exploration at the chakra activation retreat at the Himalayan institute. Coaching women to tap into their inner magic and capturing the essence of who they are will always be at the heart of Gaia Dawn Studios. Photography is still at the forefront of my business and I was honored to work with women in many different ways. I had the privilege of photographing inspiring events, creating unique images for entrepreneurs’ social media and website needs, as well as creating symbolic images for women on a personal level. It was truly an honor collaborating with Crystal V. Pizarro and many other talented women in a free mind and body makeover that was gifted to Beth. This is one of the symbolic images we created in honor of her overcoming cancer. Branding image of Life coach and best selling author Michelle Dunk of Visionary Mentoring Group and a glimpse into her vision board workshop below. Branding shoot with wedding planner/makeup artist Dolly Marshall and a shot of her gorgeous model below. Fitness yoga studios branding shoot. Soul coach and best selling author Kate Butler’s Visible Live event. Last but not least I concluded the year as a #1 international best selling author! Sharing my story of the struggles I experienced with depression and how this business was born out of that was an extraordinary opportunity and I cannot express what a tremendous impact this has had on my life. Your support has meant the world to me and I’m just so grateful to be living this life. I feel completely aligned with my life’s purpose and 2019 is an open book. So many new pages to be written and I approach them with gratitude in my heart and the intention to unabashedly express myself knowing that my art and passions will reach those who need to experience them.